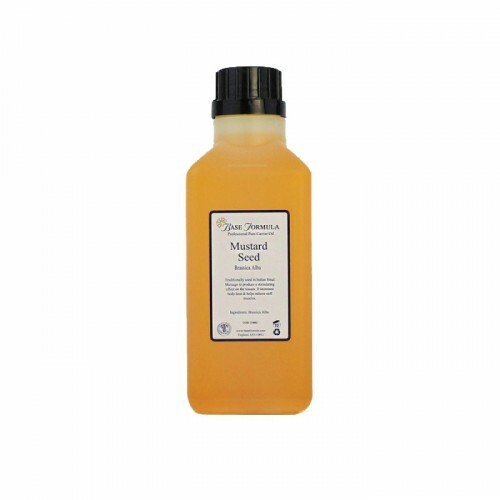 Mustard Seed Carrier Oil was traditionally used in Ayurvedic medicine and is a popular choice for Indian Head Massage. Its warming, rubefacient effect is ideal for soothing muscular and joint-related pain. Mustard Seed (Sinapsis Alba) Oil is traditionally used in Indian Head Massage to produce a stimulating effect on the body. Mustard oil offers antibacterial and antifungal properties, and is also abundant in Vitamins A, B and E which are critical for skin health. Mustard Seed Oil is warming (rubefacient) i.e. it draws blood to the surface and increases body heat, thereby actually relieving inflammation in the deeper tissues and easing stiffness in the joints and muscles. Mustard has been used to ease stiffness and support healing since 800AD. The word Mustard is derived from the Latin word `mustum`which means 'must', as the Romans believed it was 'a must' in the home medicine chest. In modern day aromatherapy it is an excellent therapeutic carrier oil for treating arthritic hands and feet and for sports or age related joint and muscular pain. It is also reputed to help reduce respiratory congestion, and promote healthy hair and scalp. 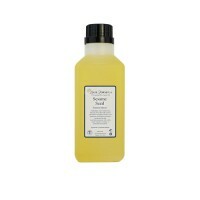 We recommend diluting Mustard Seed oil at 5-25% with another carrier oil. Safety Note: May cause irritation and sensitivity, so it is advisable to spot test before use. 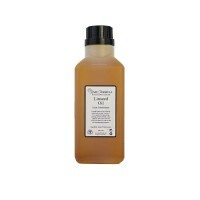 Do not massage across damaged joints, gently stroke the oil across the affected area.